Welcome to Psychic Readings 121 where our readers are dedicated to giving you the best and most accurate future predictions. We have the most talented psychics waiting by our cheap phone lines ready and waiting to tell you all of tomorrow’s secrets. By now you’re probably fed up with getting vague, inaccurate but still expensive future predictions; this is where our gifted team at Psychic Readings 121 come in. Our psychic team will answer all of your questions and they will give you as much detail as you want, our no nonsense psychics love to help and will utilise their psychic abilities to the maximum in order to give you the reading you deserve. Our readers give psychic advice on everything you could possibly think of. We have a strong team of career, love, family, finance and pet psychics who will give you amazing psychic advice over the phone on our cheap psychic chat line. Within minutes of talking to any one of our talented psychic you will develop a strong connection with whichever gifted individual you chose to talk to. On our astounding psychic lines there is a wide variety of psychics for you to connect with ranging from clairvoyants, tarot card readers, mediums, astrology/horoscope readers, love doctors. Any one of our talented psychic readers can answer your questions and best of all our psychic phone lines are open 24 hours a day, 7 days a week and because they are so cheap you can talk to our amazing psychics for as long as you want without running up massive bill. Psychic Readings 121 was started because we believed there was a much better and even cheaper way to give our loving customers future predictions over the phone from the comfort of their own homes. Many people always ask us “There are already so many expensive psychic phone lines out there so what makes Psychic Readings 121 so different?” The answer is simple, we thought it would just be amazing if we could offer everybody future readings over the phone for cheap whilst still ensuring we provide a unique and exceptional service. Get an AMAZING and in depth look into your future right now. Our gifted psychics won't hold back , they'll tell your EVERYTHING that you want to know about your tomorrow. Simply call 0904 007 0675 and see tomorrow, today. Why not text one of our amazing psychics for an in depth readings on your mobile? Just text your questions, no matter how big or small to 07441 908 897 and get your future revealed to you. You can get an even CHEAPER reading by using our CREDIT CARD SERVICE. 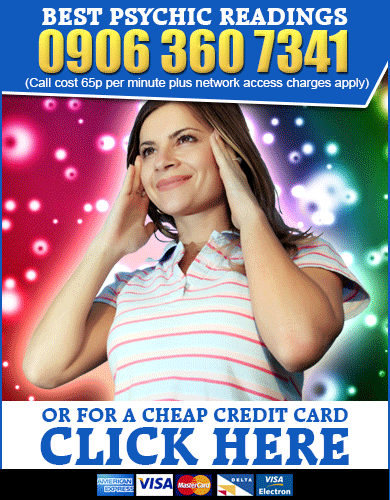 You don't need to wait, our psychic lines are always open. 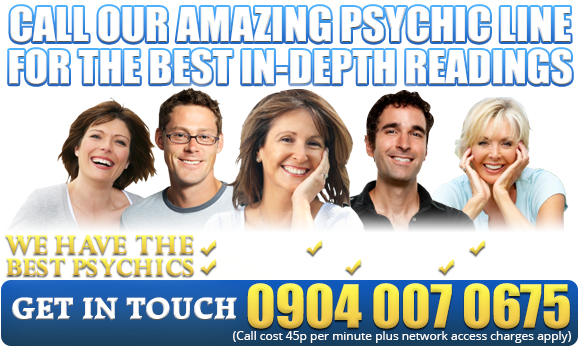 Whenever you want an in depth and honest reading be sure to call our psychic phone line. Our Credit Card Service leaves no record of the call on your phone bill.